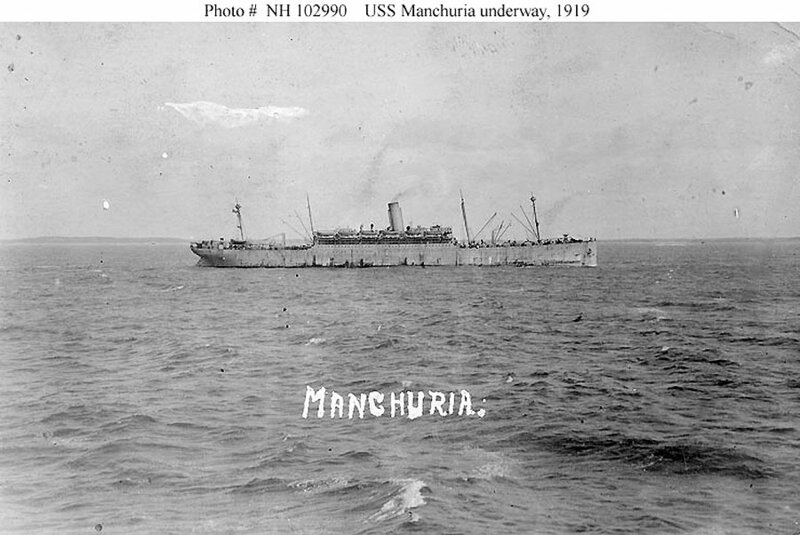 Manchuria served both the U. S. Navy and Army. 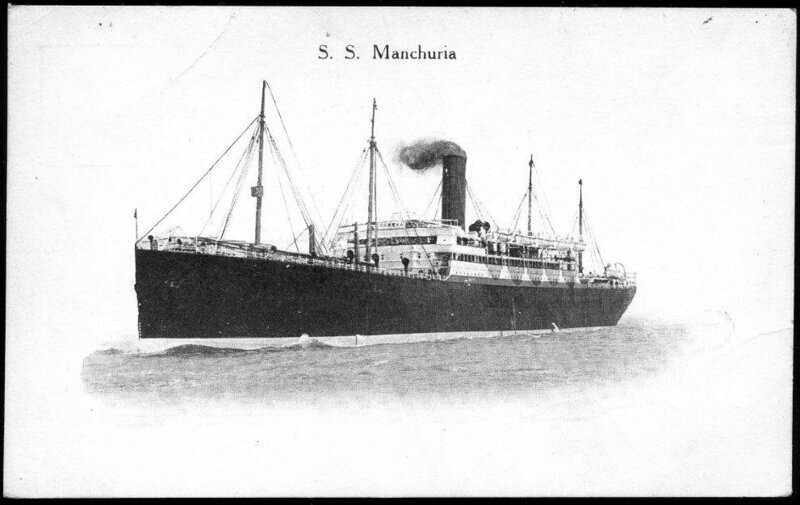 Renamed Manchuria and completed for the Pacific Mail Steamship Co.
Scrapped 12 January 1962 at Savona, Italy. 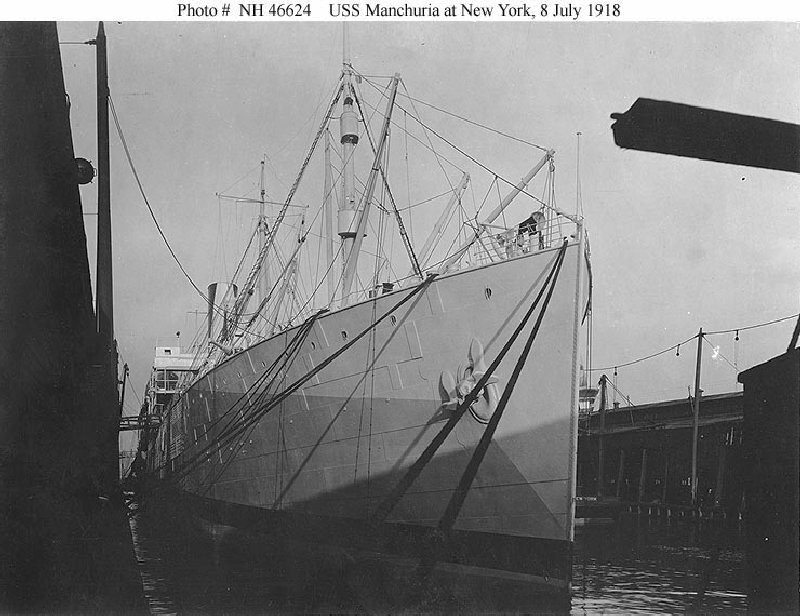 118k Taken prior to World War I, probably off New York City. 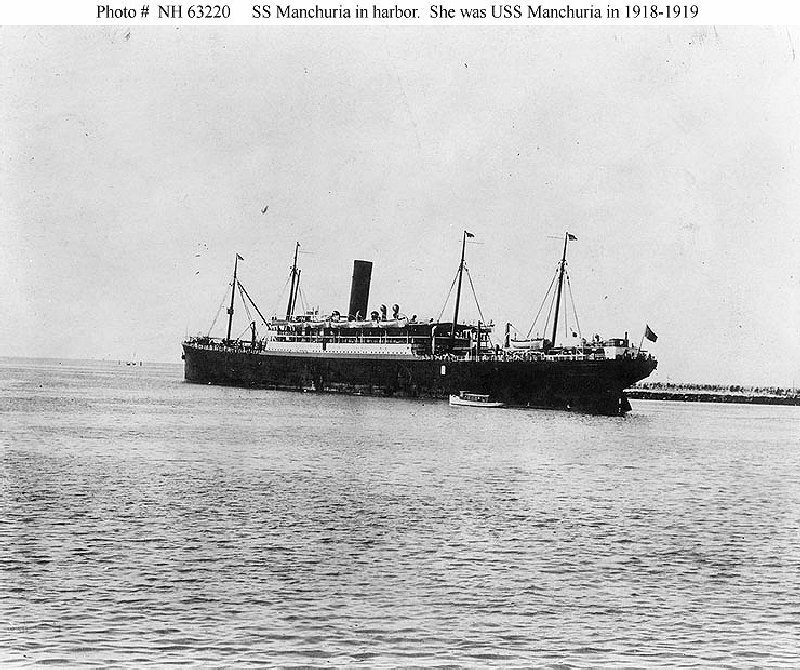 144k In port, probably after World War I. Courtesy of Lieutenant Herbert Campbell, USN (Retired), 1932. 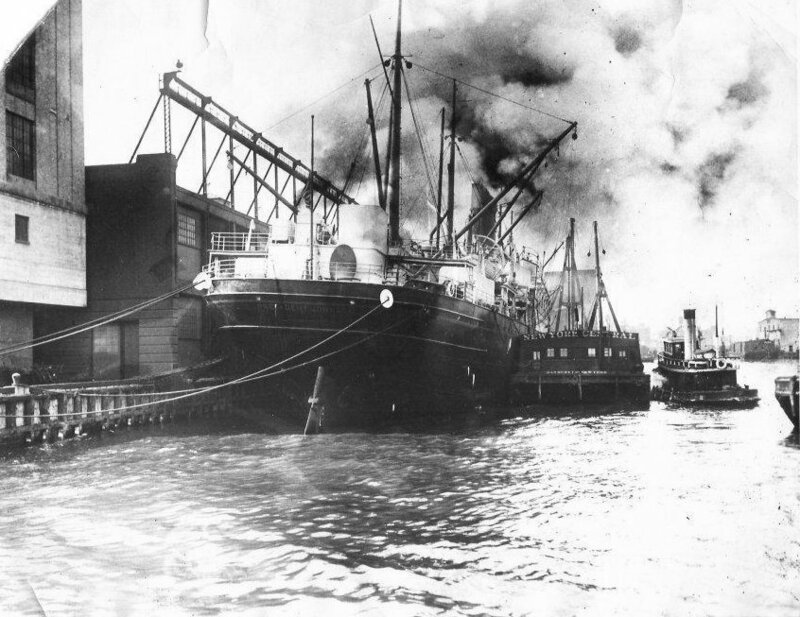 146k In harbor, probably after World War I. 128k Halftone reproduction of a photograph taken in port during the World War II era. Copied from the book "Troopships of World War II", by Roland W. Charles. A region northeast of China from which in 1644 the Mongolian race conquered China and established a dynasty. 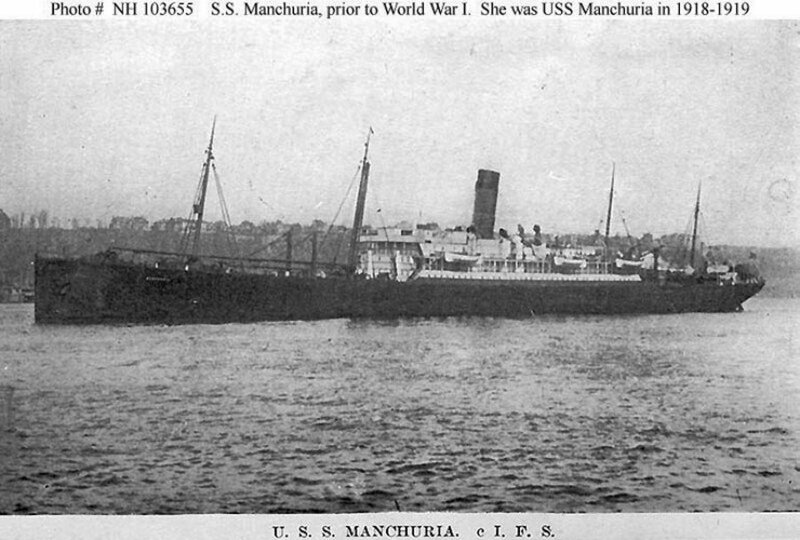 Manchuria, a passenger liner transport, was laid down by the New York Shipbuilding Co., Camden, N.J., for the Pacific Mail Steamship Co., Camden, N.J., 3 September 1902; launched 2 November 1903; sponsored by Miss Laura Wick; acquired by the Navy from a subsidiary of International Mercantile Marine Co., Atlantic Transport Co., W. Va., 10 April 1918; and commissioned at New York 25 April 1918, Cmdr. Charles S. Freeman in command. 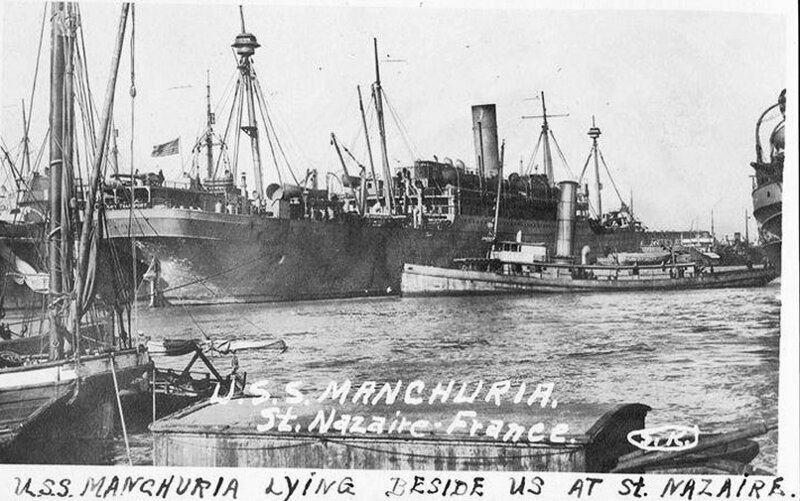 Assigned to the Cruiser and Transport Force, Manchuria departed New York with the 18th Field Artillery and the 153d and 154th Infantry Battalions embarked for Europe. 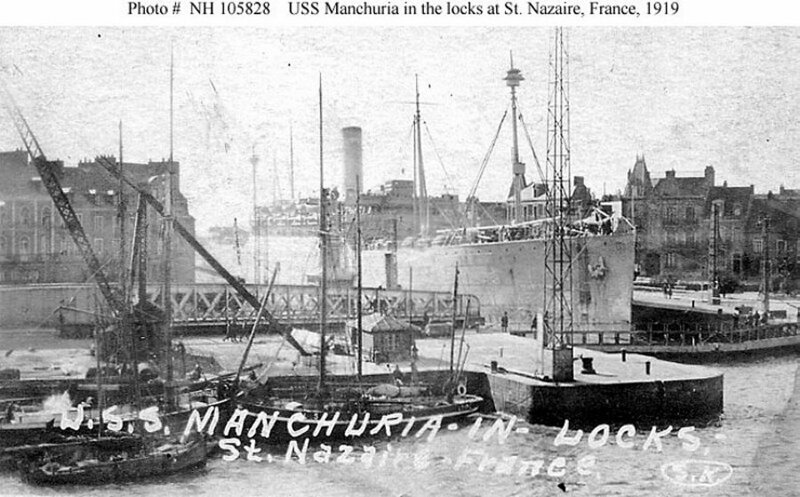 She arrived St. Nazaire, France, 13 May to debark her passengers. Five days after she returned to the east coast, arriving New York the 30th. 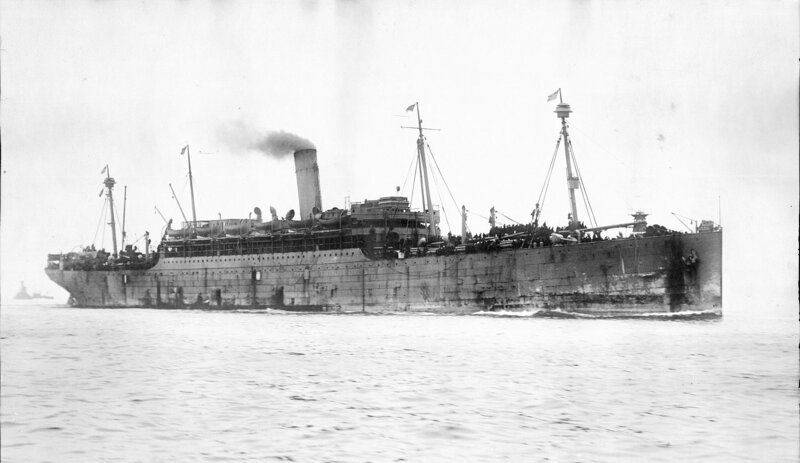 The troop transport made 13 round trips to Europe with nine of them after the Armistice, bringing approximately 39,500 troops home. 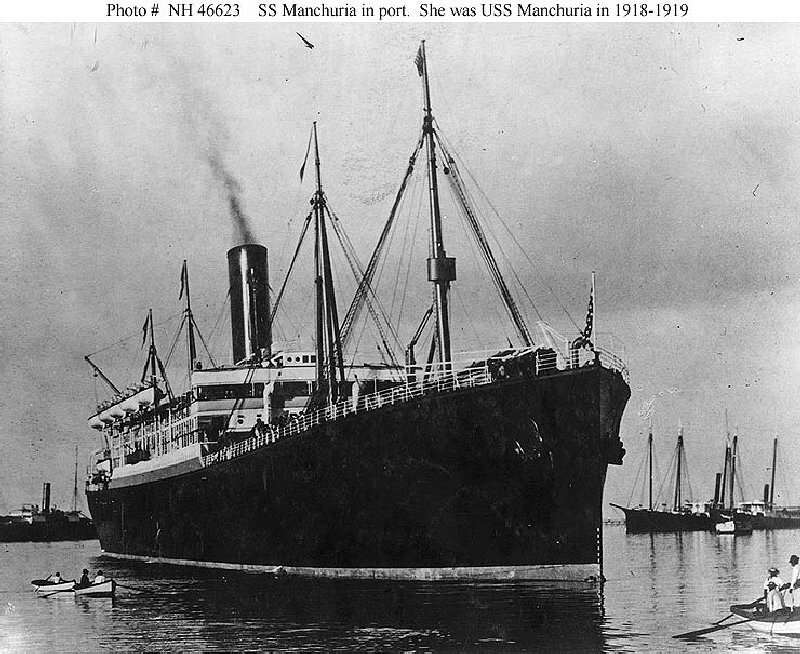 On 25 August 1919 she arrived New York, decommissioned there 11 September, and was returned to her owner. 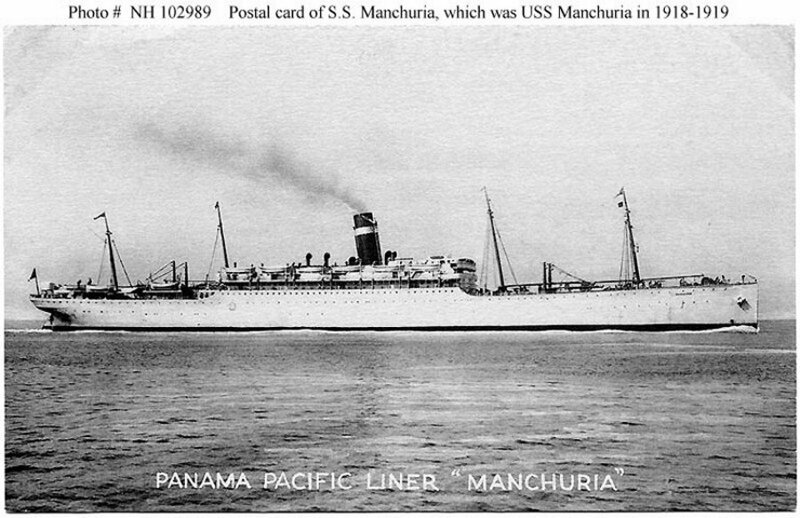 Manchuria continued service on the New York-Hamburg run, begun in 1919, until 1923, when she was shifted to the New York-San Francisco run to operate under another subsidiary of International Mercantile Marine Co., the Panama Pacific Line. 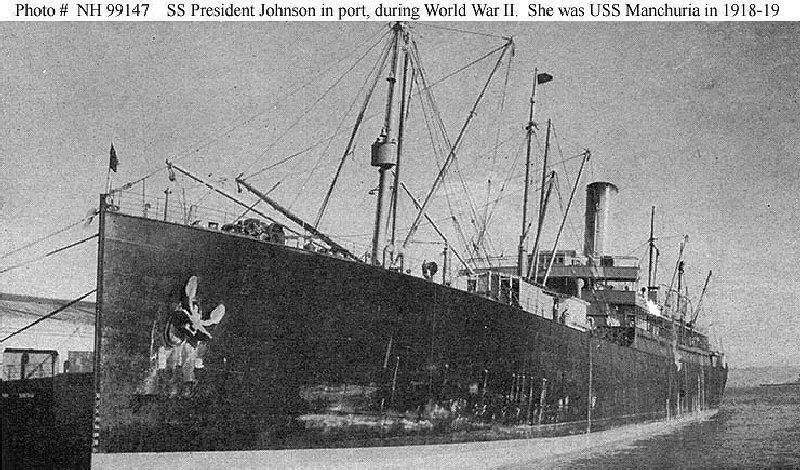 On 1 November 1928 she was renamed President Johnson and sold 7 days later to Dollar Steamship Lines for round-the-world cruises. 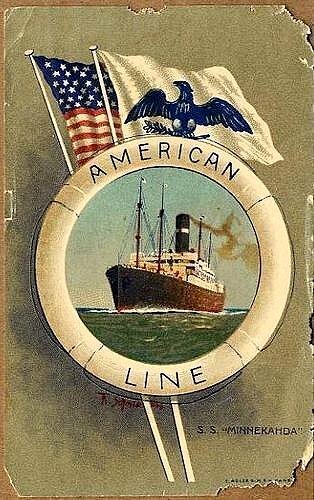 The ship was acquired by the Maritime Commission 26 October 1938 and operated by American President Lines. 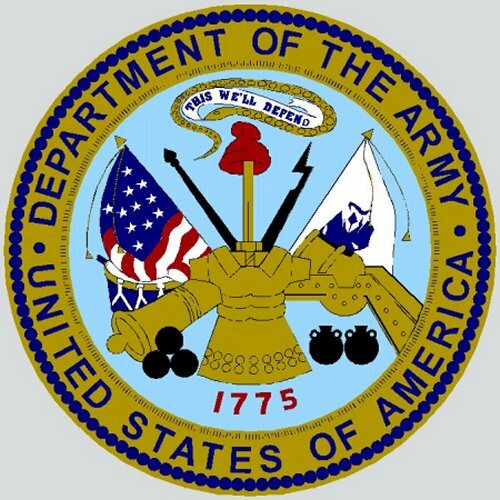 On 29 November 1941 President Johnson was acquired by the Army from WSA. 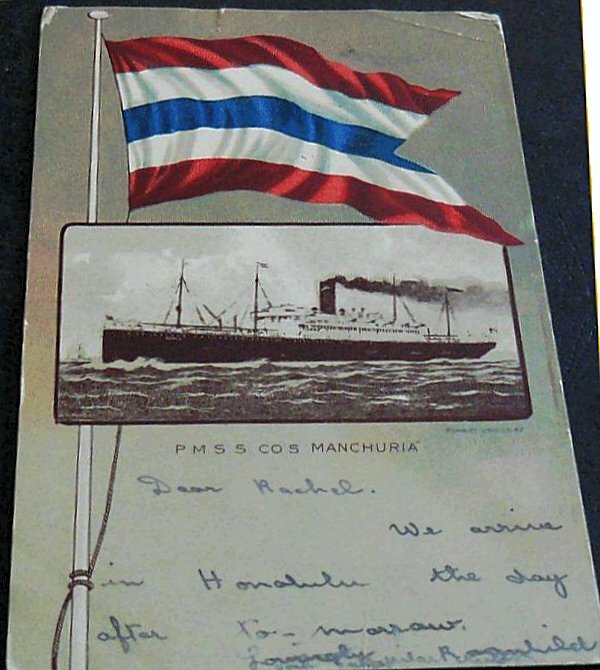 She departed San Francisco for the Philippines 5 December but turned back on learning of the Japanese attack on Pearl Harbor, Hawaii, 2 days later. On the 27th she began the first of eight round trips to Honolulu, Hawaii, transporting troops into September 1942. 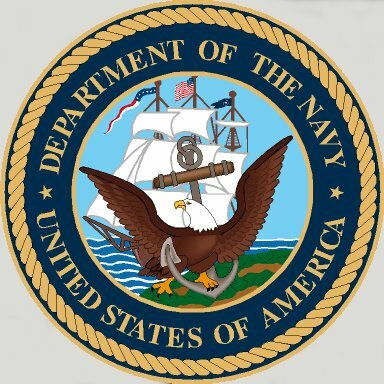 On 8 November the ship sailed from San Francisco for the South Pacific to spend the next 2 years in support of the amphibious operations which had penetrated by July 1945 to the Japanese home islands. 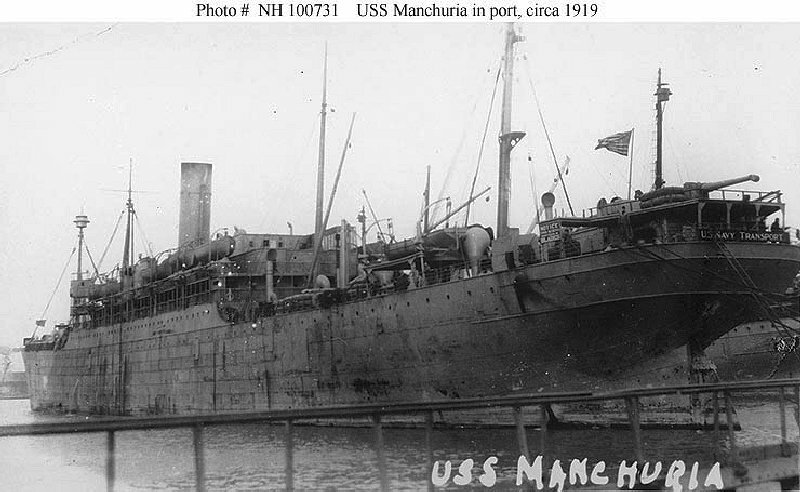 With stops at Eniwetok and Guam, Marshalls; Ulithi. Carolines; Peleliu, Palaus; and Espiritu Santo, New Hebrides, long behind her, President Johnson returned to San Francisco 14 January 1946 to end her World War II service with the Army. 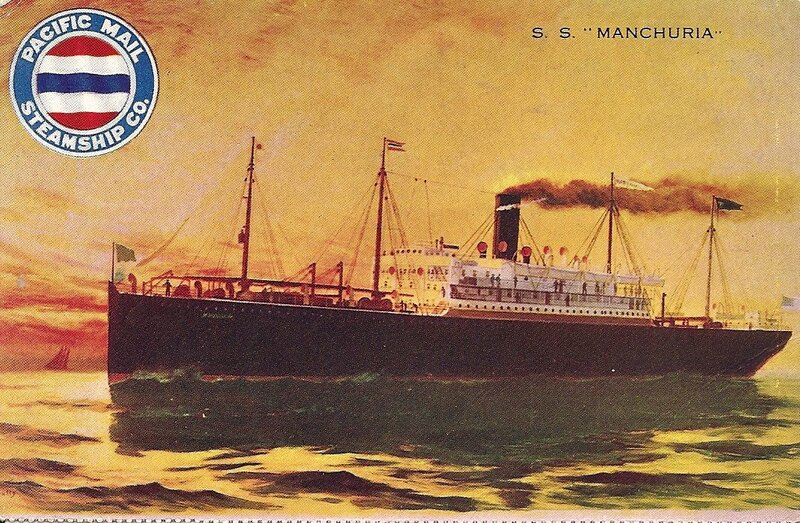 She was returned to the Maritime Commission 26 April 1946 and sold to Tagus Navigational Co., Panama City, Panama. Renamed Santa Cruz, she was chartered to Societa Saicen, Savona, Italy, in 1948 to transport Italian war refugees to South America. The transport was scrapped at Savona, Italy, 12 January 1962.